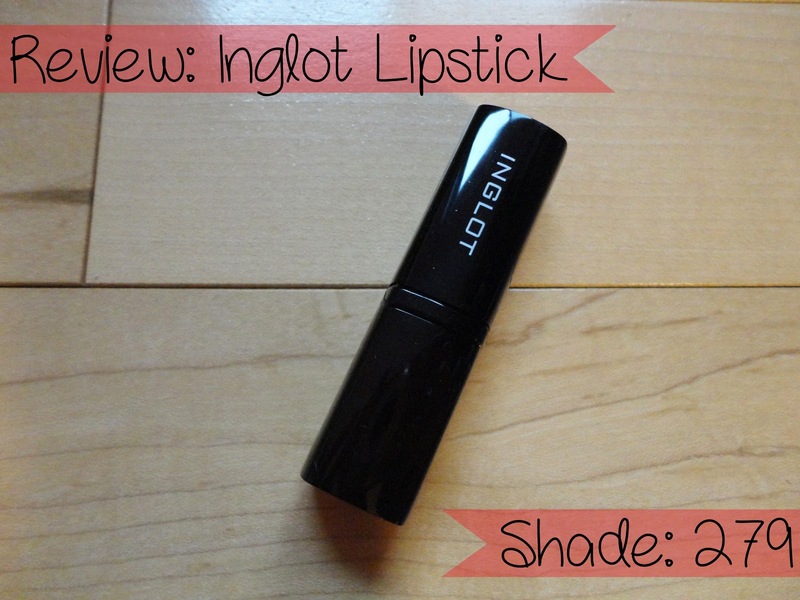 Inglot Lipstick in Shade #279 ($12) was the one lipstick I ended up purchasing while at NYC IMATS and even though I mentioned I didn't really need or want it, I don't regret it at all. I didn't expect much from this product because honestly I haven't heard many people ranting or raving about Inglot lipsticks. However, I was surprised to find that I really liked it and has me considering more Inglot lipsticks. Packaging: The packaging on this product is extremely boring. It comes in a plain glossy black tube with the words Inglot written on the side of the cap in white letters. One thing I'd like to mention, that stood out to me, is that when you put the cap back on it seems to almost suction itself close instead of the usual click on caps that lipsticks come in. Other than that, it's very ordinary. Formula: The formula of this lipstick is very soft and smooth. 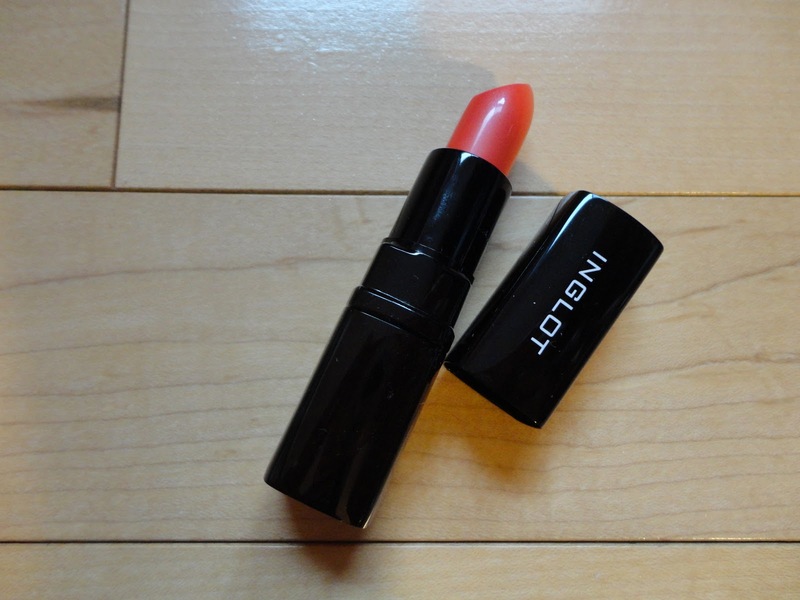 The shade is an orangey-coral with a satin finish and absolutely no glitter. 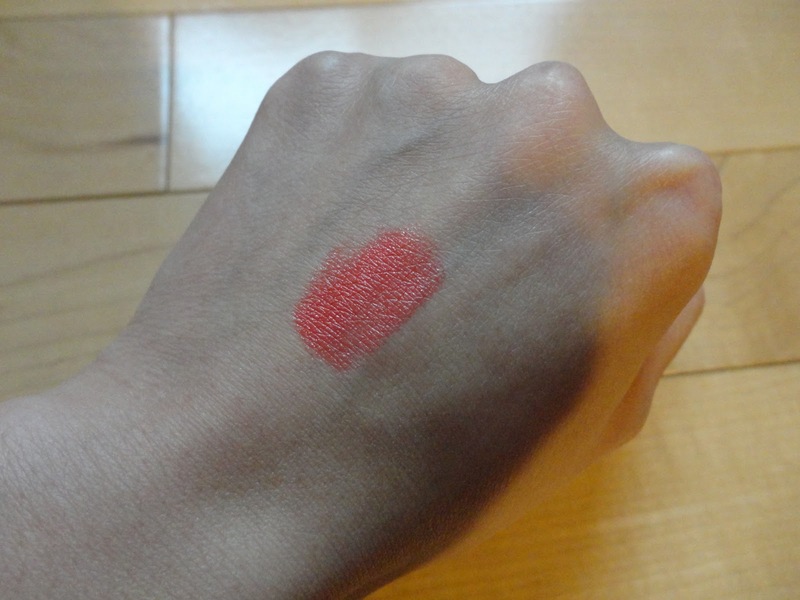 Application: The lipstick glides on the lips very easily, though I prefer to pat it on since it is such a bright shade. It didn't dry out my lips at all but regardless, I do like to apply a lip balm before I apply my lipstick. Longevity: It lasts approximately 3-4 hours before you'd need a touch up and it doesn't feather past your lips so don't worry about looking like a three year old trying to put on makeup. As I mentioned before, this lipstick took me by surprise. I had no idea how much I was going to love it. It's definitely going to be one of my favorite spring/summer bright lipstick shades and I'm probably going to look into purchasing more Inglot lipsticks. This looks like a beautiful shade! lol funny that the packaging is "boring" though. I'm glad what's inside makes up for that! Boooo ): Yeah, Inglots are hard to find. I believe there's an Inglot counter in Macy's on 34th street but I hate going up there since it's so crowded. It's a pretty spring/summer colour :) I ALWAYS use lip balm underneath lipstick too. It's an absolute must for me!